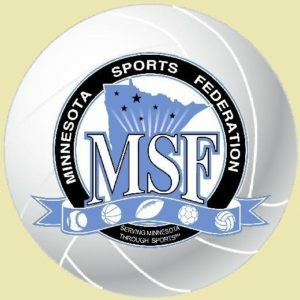 Your team is invited to participate in the 20th Annual Minnesota Sports Federation Women’s Masters – 32 or the Men’s Masters – 35 Volleyball State Championships on Sunday, April 3rd. Participating teams will have the opportunity to compete for the MSF State Title. The tournament will be conducted in a round robin/championship bracket format. The tournament guarantees teams plenty of playing time (eight games). The trophies which are awarded are of distinction and top quality. A reminder that the tournament deadline is Friday, March 25. We look forward to hosting your team in the 22nd Annual Masters State Championships.